London, UK – Hot on the heels of a successful US tour and the release of their critically acclaimed new album ‘Time Machine’, UK prog legends Nektar are preparing to tour Europe in early 2014! After a bit of an absence from European stages, Nektar is sure to be a treat for concert-goers who will be fortunate enough to catch one of the shows! Nektar, featuring Albrighton, founding drummer Ron Howden, keyboardist Klaus Hentasch and bassist Lux Vibratus, although mostly British were formed in Hamburg, Germany in 1970. Their early albums featured a heady, exhilarating mix of progressive, experimental rock sounds that soon caught on worldwide at the height of the international prog-rock boom. Touring the world behind numerous album releases throughout the ‘70s & ‘80s helped to cement the band’s reputation as an influential prog-rock legend. Having undergone a variety of personnel changes over the past decade or so, the band now boasts its strongest lineup in years and is ready to prove so yet again to its many fans throughout Europe. 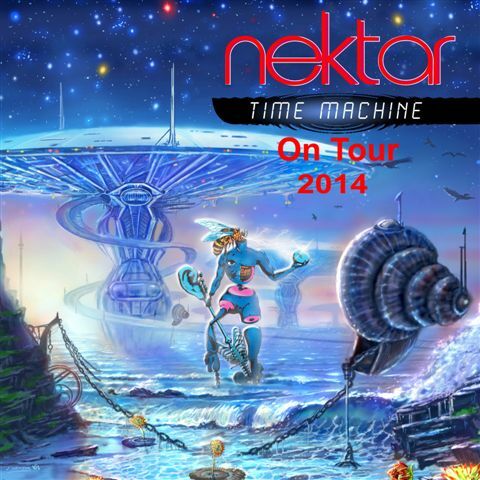 Nektar’s new album, ‘Time Machine’, featuring the band’s first album of new original material in several years, was released on Cleopatra Records in the USA on June 18, 2013. This entry was posted on Tuesday, December 10th, 2013 at 00:00	and posted in Nektar, Press Release. You can follow any responses to this entry through the RSS 2.0 feed.